We are committed to supporting our students, both academically and financially. It is the policy of our department to ensure that all of our students are fully funded for at least five years as long as they are making satisfactory academic progress. Full funding includes student fees, nonresident tuition, and a stipend. Please note that U.S. citizens are expected to establish California residency after their first year in California. International students do not acquire California residency, but the department provides out-of-state tuition coverage throughout their studies, provided they advance to Ph.D. candidacy before the beginning of their 7th semester, which is defined as normal progress. First Year: The ARE department provides tuition, fees, and stipend for the first year of study. As a GSR, you will be assigned to a faculty member who will supervise your progress in coursework and may demand some research assistance consistent with your study load. Second and Third Years: During these two years, most students serve as a Graduate Student Instructors or receive support through a Graduate Student Researcher (GSR) appointment. We believe that teaching is an important and valuable component of the learning experience for Ph.D. students that will be valuable for their future careers. Therefore, we expect our students to serve as a Graduate Student Instructor (GSI) for at least two semesters in their second or third year of study. Fourth and Fifth Years: Your faculty dissertation research advisor will help you secure financial support for your final one or two years in the program through fellowship opportunities, grants, or additional teaching. If necessary, funding arrangements for additional years will be made on a by-agreement basis between you and your advisor. 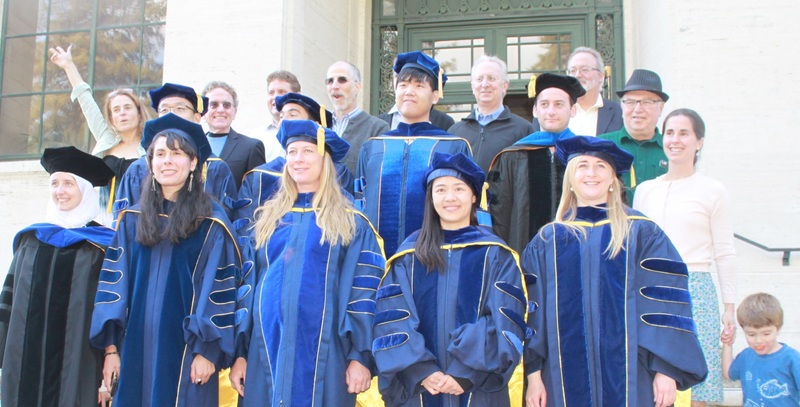 If you have questions regarding our program, the financial support offered by our department, or the preliminary math preparation, please feel free to contact Carmen Karahalios in our graduate student affairs office at carmenk@berkeley.edu.